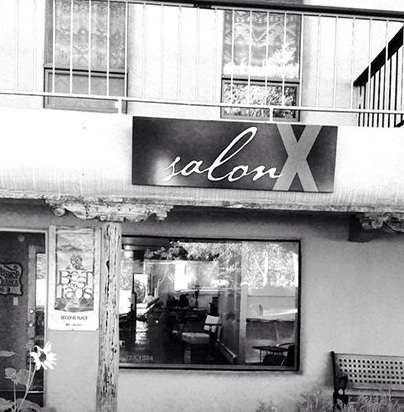 Salon X is a full service upscale salon using the greenest products available, while still providing exceptional service. Delta decided to branch off on her own and get into the groove with a nationally popular and ethically sound eco-friendly salon! All products, literally from head to toe, are being specifically chosen to ensure they are sustainable, earth friendly, non-toxic, recycled and more – truly meeting the needs of the present generation without compromising the ability of future generations to meet their own needs. “After all the information being released about how certain chemicals in hair and nail products can be so toxic to our bodies, I’m thrilled to have this option of getting my hair and nails done in a non-toxic manner, but still stylish and edgy”, says one of Delta’s faithful clients. Delta offers hair, nails, facials, waxing, products, art, great conversation and more. Stop by and see what all the fuss is about! Delta and her team are here to ensure you are treated in style at Salon X – now the first full service “green” salon in Taos!